Venice team building - 7 ideas you can do yourself! Few of us would argue that Venice isn’t one of the most beautiful and intriguing places that you can visit in the world. It’s rich architecture and history are both something to behold and impressive for the most demanding people. But, in all fairness, simply walking from sight to sight, listening to the guide, baking in the sun waiting for the one member of the group that’s always lagging behind is something that a lot of us can do without. Here are a few suggestions for you to spice up your Venice team building or retreat that you can do yourself. While the classic format of sightseeing is completely OK, we find that one can have a lot more fun with it. By organising a simple treasure hunt you can incorporate all the sights you want to see, but add a competitive element to it. 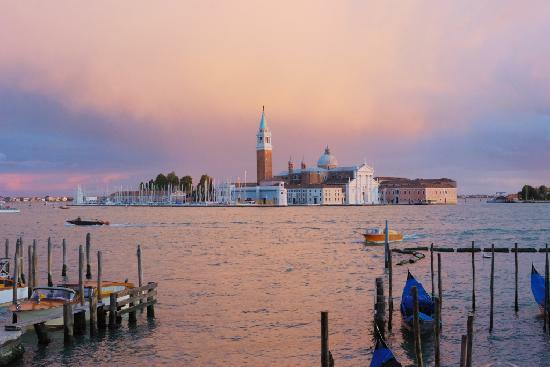 Your participants move between different points, solving riddles and tasks, which are set on some of the glorious locations that Venice offers. Simply moving through the streets and canals of the city is part of the adventure, made easier with apps and navigation (so somebody doesn’t get lost). Each of the tasks is tailored to the location, so the participants not only see them, but through an interactive way get to know more about the place they’re at. Plus, by doing it in a format where the sequence of the locations is set you can delve into the story even more. Try it out for yourself or trust the organisation to one of the Venice team building companies that have a bit more experience. This is another fun option to get to know the city. The main idea is to pick the most important sights which the participants should see. This can include everything from historical landmarks, fun bars, great shops, famous squares, … you name it. Again, phone apps can be a great tool here not only for navigation, but so you can include other info about the places you want them to see. The participants must then visit as many checkpoints as they can in any order they want. At the end the best teams get a reward. To make sure they don’t miss out on the important sights a good tactic is to give each check point different amount of points, so the must-see sights are higher on their priority list. The Venetian carnival is one of the best-known attractions they have. The typical masks and costumes, festive ambient and historical meaning all blend into one, but many are often put off by the crowds and jacked-up prices. But, you can organise one just for your company. A little decoration, some masks and dresses and you’re set to go! 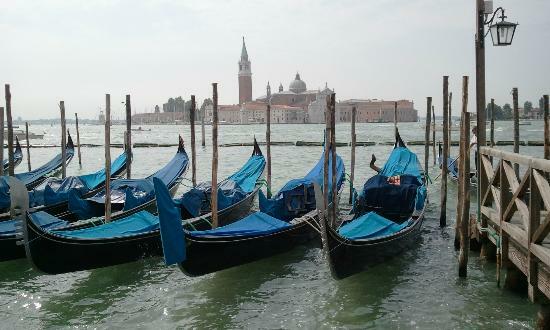 The traditional Venetian boats – gondolas are usually associated with romantic rides between the canals with someone you hold dear in your heart. We propose you do something a bit more fun with them instead. What do you say about making your own gondola from scratch? It’s a great way for your company outing to be both active and to leave your colleagues in stitches. All you need is some materials (a bit of carton, some wooden sticks, paper, tape, …) and instruct the teams to construct their own gondola. We recommend ecological materials so you don’t contribute to the pollution. Then, at the end, you can grade them by appearance (every detail counts!) before sending them into the water. Once you see that they are buoyant enough to hold up the captain you can give them different fun tasks – like who can do the best serenade while rowing past your group. Or just a simple race. You know, whatever floats your boat. Tramezzini are typical Italian and Venetian sandwiches that are often overlooked when visiting the country. 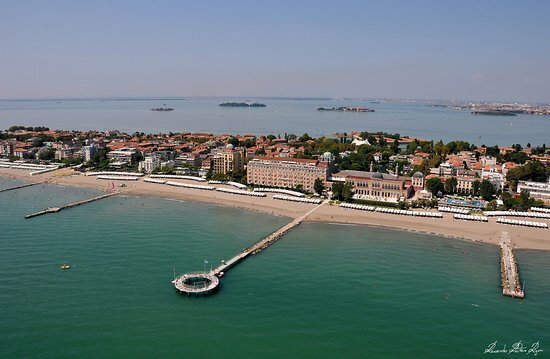 Venice offers many great locations that offer them and we highly recommend you include them in your itinerary. Either you include them in your tour or treasure hunt or make a whole adventure out of it. Because they’re light snack sandwiches you can easily fit more of them in your belly, so you can visit a couple of renowned venues, such as All’Arco or Bar alla Toletta. This can be a great edition for groups that want to make the best of their time, don’t like to sit around too much and want to experience Venice like the locals. In case you want to kill some time before your next activity, but don’t want to be too lazy about it we recommend a food market activity. With the food market, a culinary team building, you can take make use of the fact that Venice is renowned for its cuisine in an active and fun way and get some food in you along the way. The core of it is for the teams to prepare their own Italian food course. The possibilities here are endless – there’s a thousand different ways of preparing pasta, great meat dishes, snacks like tramezzino, … The ones that make the best ones win the prize and everyone else wins by eating the food the groups prepared. For this activity, we recommend inviting a local to participate (and judge) so they can give the groups some advice what’s the true Italian way of preparing the dish. Also, a system of distributing the ingredients is always welcome, so the groups don’t fight over them. Imagine after a long day of trotting around Venice, your feet sore from all the walking, eyes hurting from all the awesome sights and head exploding from the sheer fact that you’ve just seen one of the wonders of the world. Then you arrive at a long sand beach where the final activity awaits you, basking in the evening sunlight. That’s exactly what you can get if you organise an activity at the Lido island beach, which is situated on an adjacent island. Being a sand beach, it offers a great opportunity for team buildings as simple as sand castle building, sporty ones like body zorbing, or any other kind. In any case you can still do the gondola building activity there, to top off the day. So, these are our ideas for your Venice team building. Try them out for yourself, or you can always contact us for more suggestions.